Monsoon is all set to retreat by the end of this week or 28 September, much to the plight of farmers belonging to regions that received insufficient rainfall this year. The monsoon withdrawal process, which commences from northwestern Rajasthan, normally begins on 1 September. However, the delay in the retreat was observed on 31 August, when strong monsoon-friendly south-easterly winds were noted over north-west India. 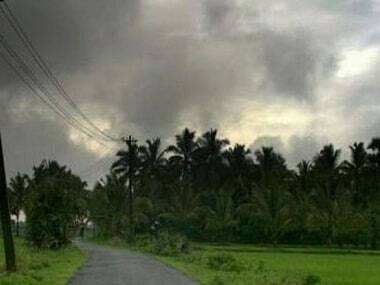 The Indian Express quoted India Meteorology Department (IMD) officials as saying that this would be the "most delayed monsoon withdrawal since 2009". According to The Hindu Business Line, the delay occurred due to the fuelling of monsoon south-easterly winds over large parts of north-west India towards the end of August. Rain is expected to linger in the southwest coastal region for a little longer. 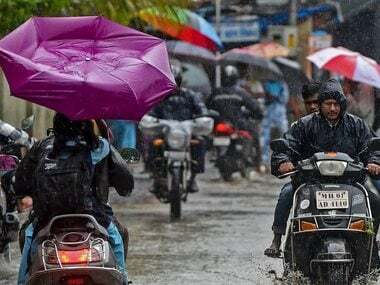 In the wake of a trough extending from the southwest Bay of Bengal to the southwest Arabian Sea across Karnataka, moderate to heavy showers are expected to occur over coastal Karnataka and some parts of south Konkan and Goa for 24 hours from Wednesday, said Skymet Weather in a forecast. It was in June that IMD predicted India's crucial monsoon rains would reach 98 percent of the long-term average this year. 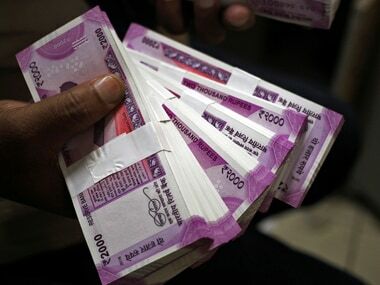 However, in August, the nationwide rainfall deficit, which was at 6 percent, had shot up concerns about the production of summer-sown crops such as rice, cotton, oilseeds and pulses, reported Livemint. The Southwest Monsoon accounts for 75 to 80 percent of the total rainfall in the country and is the mainstay of kharif crops. Even though weather officials are currently looking for the signs of withdrawal, they expect suitable conditions to form towards the end of this week. The time of withdrawal affects the northeast monsoon, which mostly caters to Tamil Nadu, Andhra Pradesh and rest of the regions along the east coast during winter. On 14 July, a group of farmers from Anandgaon village in Marathwada's Beed district filed a police complaint against the IMD for misleading them by predicting ample rain during the kharif season in June. A farmers' organisation called Swabhimani Shetkari Sangathan had in July planned to lock the Pune IMD's office since the weather officials had not informed them in advance about the prolonged dry spell in Maharashtra. With the likelihood of monsoon withdrawal, farmers will have no place to go with the prospect of a poor yield. AK Nema, Madhya Pradesh agriculture department's deputy director told Hindustan Times that the kharif crop — which mainly includes soybean and urad — was sown in around 4 lakh hectares. However, “insufficient rainfall” affected it badly. 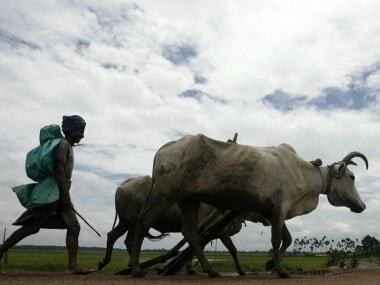 Going a step further, farmers in Nuapada district in Odisha's Bhubaneswar have sought an early declaration of drought and loan waiver for the current agriculture season. According to data collected by the Ministry of Agriculture’s crop division, by the end of August, farming was hit in 18 states either by floods or less rainfall. In semi-arid regions, erratic rains and insufficient rainfall have already paved way for water woes. "Because of the unusually long gap in rains, short-term crops like green gram and soybean are showing stunted growth," agriculture officer of Latur, Mohan Gojamgunde was quoted as saying by The Wire. Completely depending on the occurrence of rains, the decline in crop yield in the region may vary between 15 percent and 50 percent. Water shortage in Andhra Pradesh has also served as an eye-opener for hundreds of farmers in drought-prone Anantapur district, who have stressed for water allocation to their constituency for drinking water and irrigation purpose before the actual crisis sets in. As much as 235 districts across the country face the prospect of drought this year, with a majority of them belonging to Punjab, Haryana, Uttar Pradesh, Madhya Pradesh and Vidarbha. Uttar Pradesh, Haryana and Madhya Pradesh are the hardest-hit, The Times of India reported, showing rain deficits of 31 percent, 28 percent and 25 percent, respectively. But the government has ruled out the chances of a severe drought. 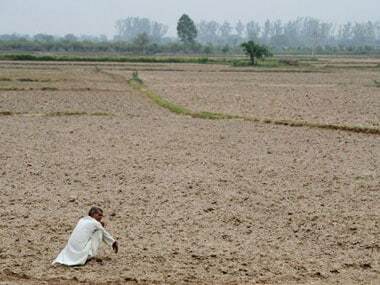 A senior official told Financial Express that the “possibility of severe drought emerging in any district is virtually nil". The Centre is of the view that the country’s foodgrain production would match 2016’s figure of a record 276 million tonnes.